Finally figured out a simple way to cast media from my netbook to my TV box. 2. Launch the app. Turn on DLNA DMR then set a device nickname. Apparently also works with AirPlay and AirTunes if you want to stream from an iPad/iPhone. 1. 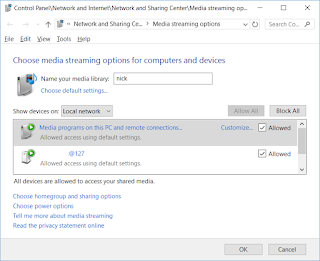 Enable media sharing in Windows 10 from Control Panel\Network and Internet\Network and Sharing Center\Media streaming options (requires admin access). 2. Install http://download.waxrain.com/AirPinPcSender/AirPinPcSetup.exe to send media from Windows to receiver. 3. 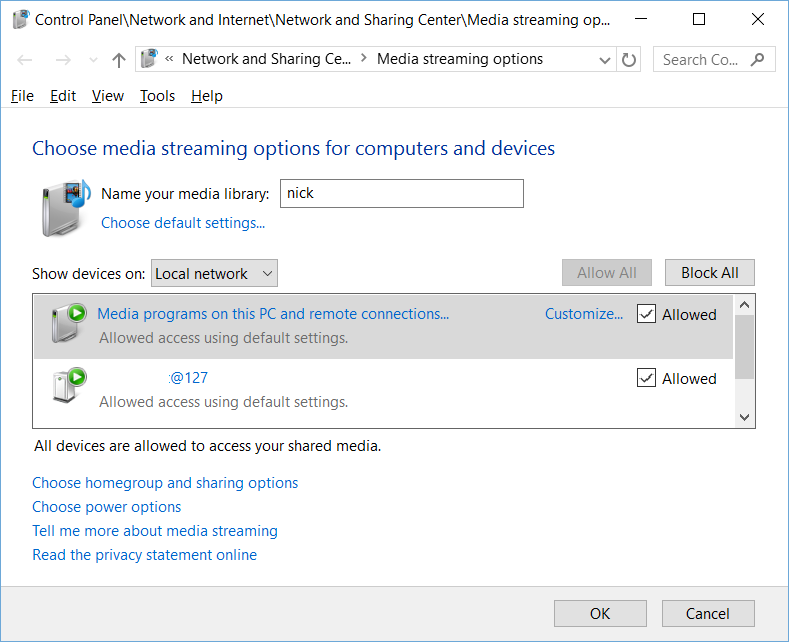 Browse for media file on Windows machine; right-click and select Cast To Device or DLNA Play to > [your android device].